With presidential primaries rapidly approaching, I thought it would be interesting to find out how Bethel High School students would vote. I created two polls: one for the three Democratic candidates (Hillary Clinton, Bernie Sanders and Martin O’Malley) and one for the leading four Republican candidates (Donald Trump, Marco Rubio, Ted Cruz and Ben Carson). 84 people voted in the Democratic poll, and Sanders won with an overwhelming 83%. 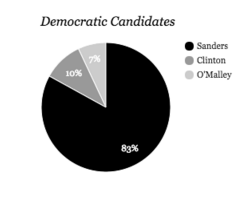 Clinton followed with 10% and O’Malley was last with just 7%. 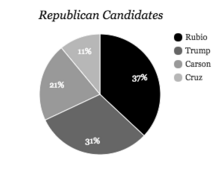 81 people voted in the Republican poll, and Rubio led with 37%, with Trump following closely at 31%, Carson with 21% and Cruz with 11%. Once the first two polls ended, I created a poll to find out who would ultimately win the election according to BHS students. 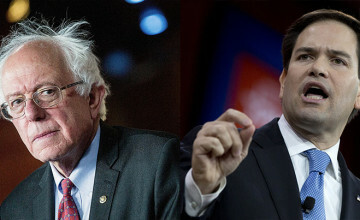 Between Sanders and Rubio, Sanders won with 79% of 77 votes. 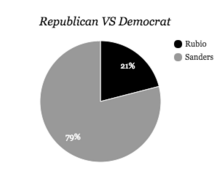 Rubio collected the remaining 21%. Because the majority of BHS students are not old enough to vote, there is no way to say whether or not these results foreshadow the actual results of the election. However, if you are 18, this is a reminder to vote and participate in making the decisions that shape our country!